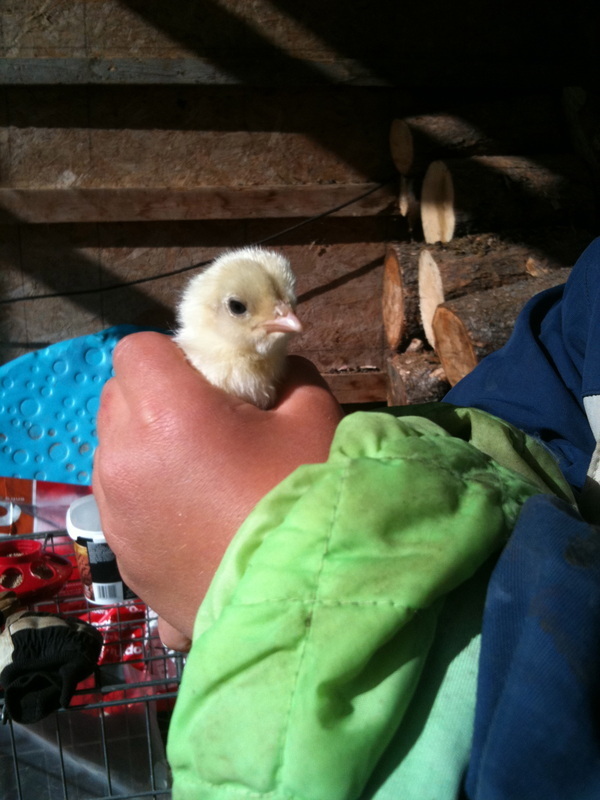 Every spring, some hens go broody and hatch chicks on the farm. 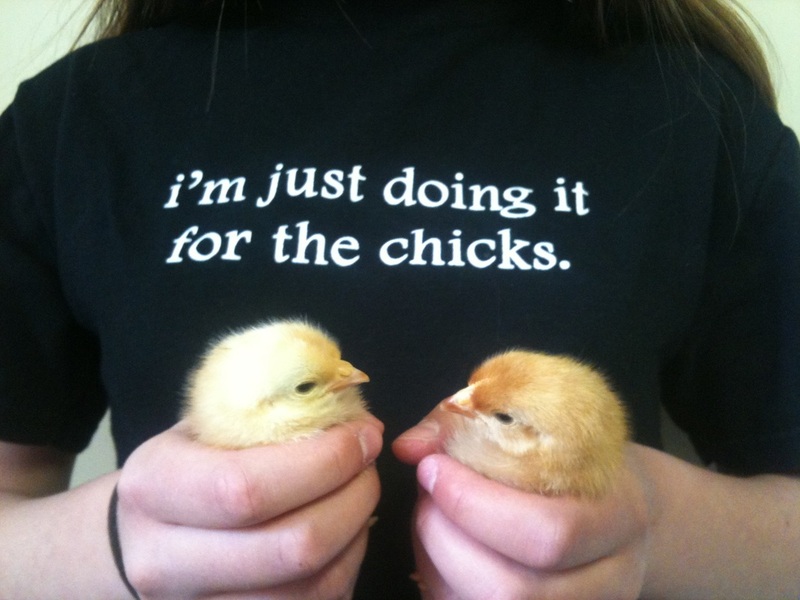 We also order chicks from a hatchery. This year, we got some gold-and-white pullet and a pure white pullet by crossing the Ameraucana rooster with Brown Leghorn hens. The white pullet's name is Snowy, and the gold ones are Goldilocks and Sunny. 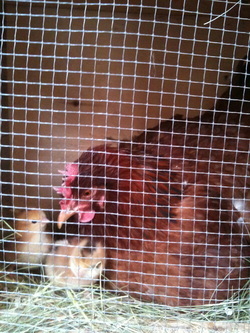 From the hatchery we have Columbian Rocks, Red Rock Crosses, Red Sussex, and Rhode Island Reds.